This circuit provides power to operate the theft deterrent (warning) ECU. 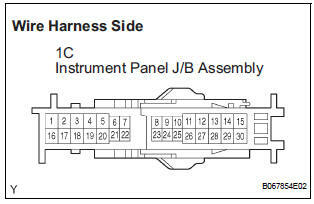 Remove the ECU-B fuse from the engine room J/B. 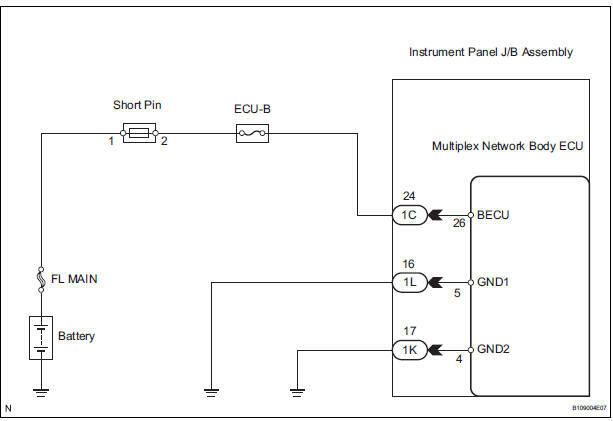 Disconnect the 1C J/B connector. Measure the voltage according to the value(s) in the table below. 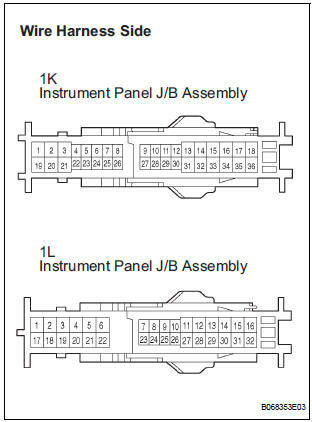 Disconnect the 1K and 1L J/B connector. Measure the resistance according to the value(s) in the table below.